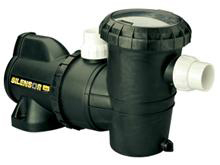 Davey’s all new water-silenced pool pumps offer super quiet operation with high efficiency, making them the ideal choice for modern swimming pools. Super Quiet – Silensor’s water-cooled motor uses a small water flow around th stainless steel, corrosion proof motor shell that captures noise and vibrations. Cost Saving – using the latest computational fluid dynamics to move water up to 15% more efficiently than most standard pool pumps, quietness allows operation late at night during off peak times when energy costs are much lower. Long Lasting – the advanced design utilises high performance UV stabilized polymers for outdoor installation and corrodible metal bolts and screws have been replaced with easily operated clamp rings, ensuring simple maintenance. Dependable – Silensor features a ‘Floating Neckring’ system for protecting the vital mechanical seal within the pump. This reduces wear by excluding debris, extending service life and reducing maintenance. Automatic ‘Dry Run’ protection will stop the pump running when it has no water moving inside, preventing premature pump failure. 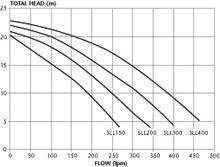 Performance – Silensor features a patented clamped impeller design providing superior air and water handling ability as well aiding priming which improves the options for positioning the pump in more varied locations.